After being dismissed by the board of medical science for her unorthodox practices, Dr. Psik managed to procure a secluded allotment to continue her work. Under the guise of an increasingly popular ‘Escape Room’ she coerces test subjects to enter chambers to undergo her experiments. Test subjects began to expire from over exertion during the trials – but being as resourceful as she is, Dr. Psik has found a use for all those fresh cadavers. 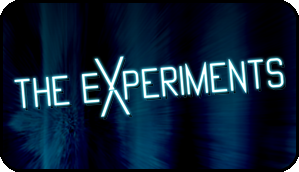 Now the dead live once more as a reminder that no-one can beat The Experiments. into the game, won’t be blindfolded during the game. If you cannot find the availability you would like in The Experiments (A) then try booking The Experiments (B). Ramp access in to game, but not into the briefing area. If you have special access requirements please call 01253 767279 (option 1) to have a chat to the team as there are adjustments we can make to ensure your visit will run as smoothly as possible. game therefore it is advised to contact us if any of your party are sensitive to flashing lights before booking.